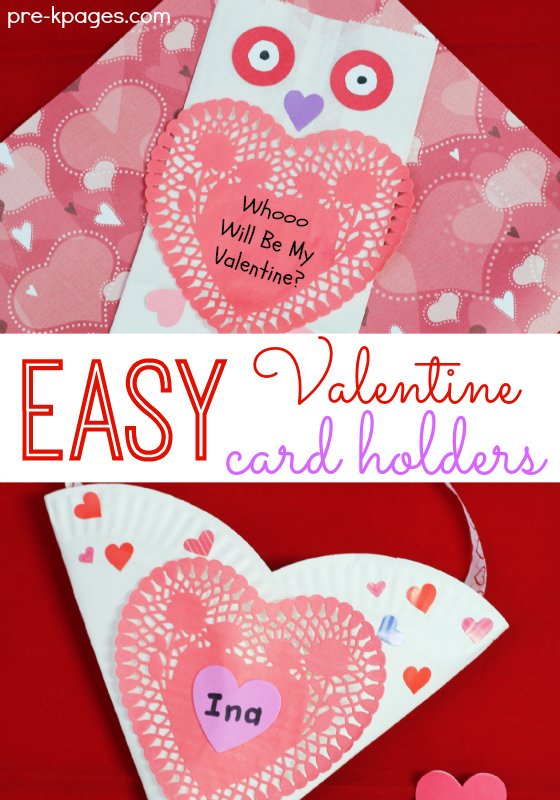 Are you looking for an easy and inexpensive Valentine card holder to make with your kids for Valentine’s Day? 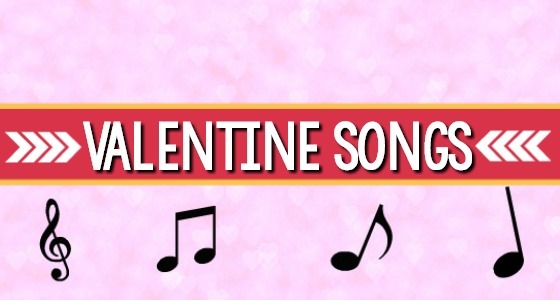 I have made many different types of Valentine card holders in my classroom but these are my all-time favorites for preschool and kindergarten. These Valentine card holders are quick and easy to assemble and most importantly, they don’t cost a fortune! 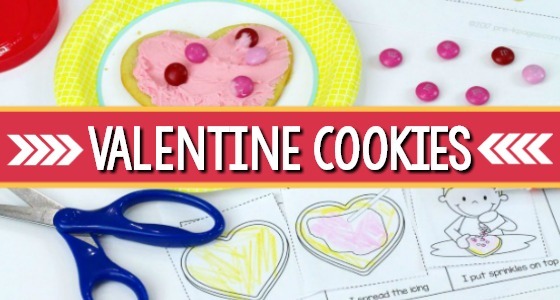 Valentine’s Day can be a very stressful time in preschool and kindergarten classrooms, all the cards and candy leads to lots of excitement that can be hard to contain. Anything you can do ahead of time to reduce the stress and chaos is a good thing, and these boxes fit the bill nicely! 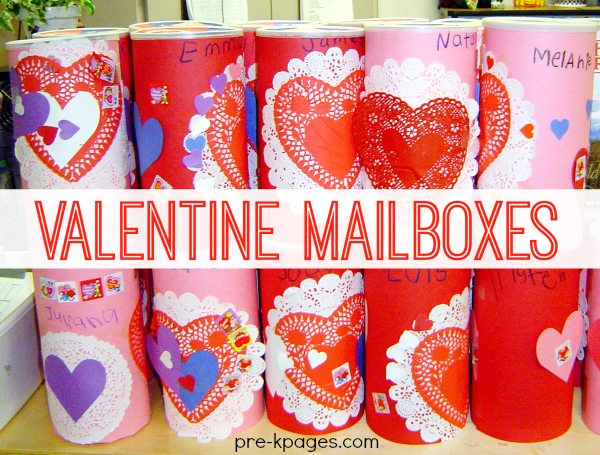 Choose Valentine card holders and mailboxes that are quick and super easy to make, but still super cute and you’re off to a great start! 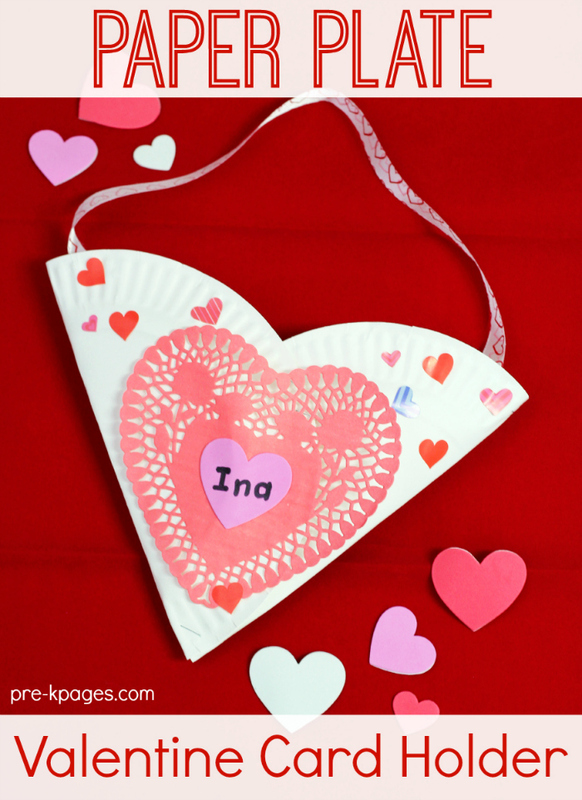 This owl paper bag Valentine card holder is very inexpensive and super easy to make! Start by gluing the large red heart doily to the front of the paper bag, be sure the heart is facing towards the top of the bag. Next, glue the three small hearts to the bag for the owl’s beak and feet. Then, glue the two medium size circles to the top of the bag for eyes and add the two smaller circles to the middle. Finally, use the marker to make the pupils of the owl’s eyes. You can write the words “Whooo Will Be My Valentine?” on the front of the bag for the children or type them out and print multiple copies so they can glue them on their bags. Don’t forget to have the children write their names on their Valentine bags. That’s it! Now you have a super cute owl bag to collect Valentine cards! 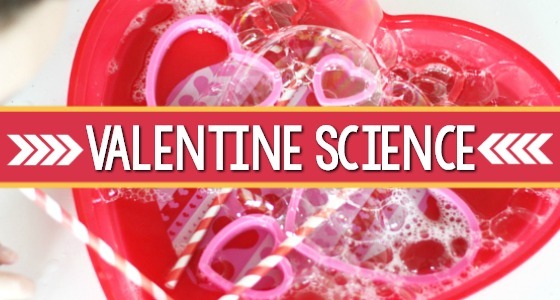 This is a classic Valentine card holder your kids are sure to love! First, take two paper plates and fold them in half so they look like tacos. Next, tilt the two halves and place one inside the other to create a heart shape. Then, while holding the plates, carefully staple them together. Now staple the ribbon to the top of the heart to create a handle. 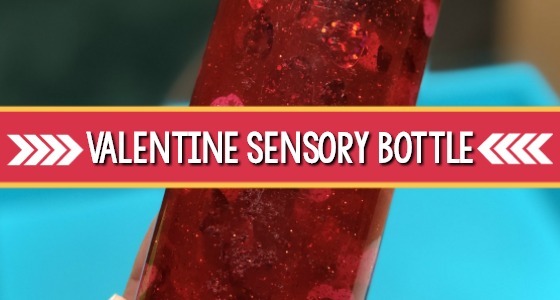 Glue the red doily to the front of the heart and add Valentine stickers to the front of the holder to create a festive look. Don’t forget to have the child write his or name on the front of their Valentine card holder. These are by far my favorite Valentine mailboxes of all time. I like them because they are super easy to make and the most sturdy mailboxes ever. I made these mailboxes the year I had a parent who worked in a hospital cafeteria. She asked if we had any use for a lot of oatmeal boxes and we certainly did! Start by inviting the children to write their names on a piece of construction paper and decorate to their liking with crayons and markers. 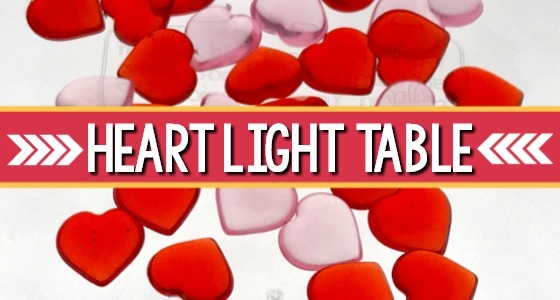 Invite them to add the red heart doilies, white doilies, and stickers to their paper for decoration. It is much easier to do this step before you attach the paper to the boxes- trust me! Then, wrap the decorated sheet of construction paper around the oatmeal box and tape it in place. Depending on the size of your oatmeal boxes you may need to trim the paper to fit. 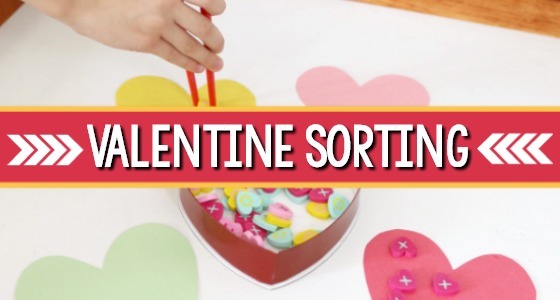 Next, use your scissors to cut slits in the top of the oatmeal lids large enough to accept Valentine cards. The lids come off easily so if a card doesn’t fit they can be popped off and put back on easily. 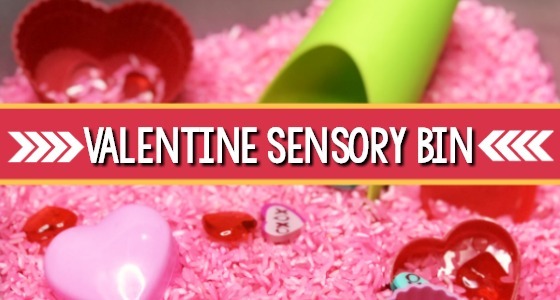 Next Post: What is a Sensory Bin? So cute Vanessa! 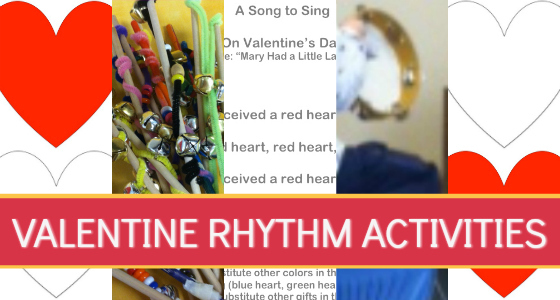 I’ll be featuring this post at the Thoughtful Spot tomorrow! Thanks for the feature Sherryl!